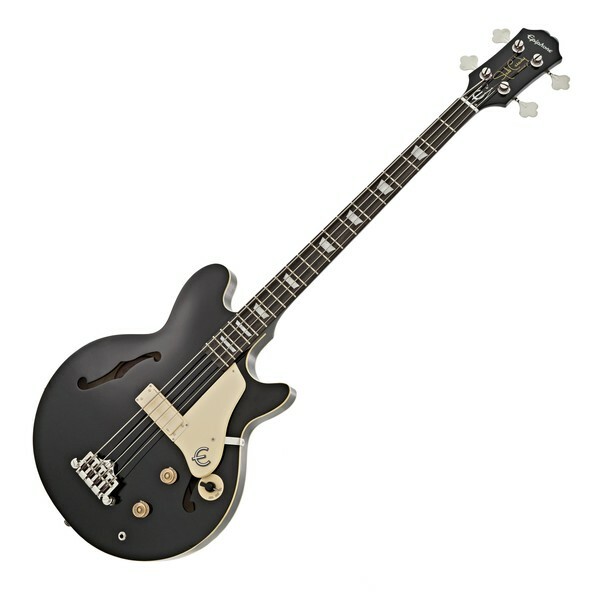 The Epiphone Jack Casady Signature Bass Guitar features a Maple body with a Maple top, complete with a stunning Ebony finish. Other premium features include a hand-set Mahogany neck with a 34'' scale length and a 12'' radius Rosewood fingerboard with 20 frets, as well as a 1.6535'' nut and Jack's signature on the headstock. 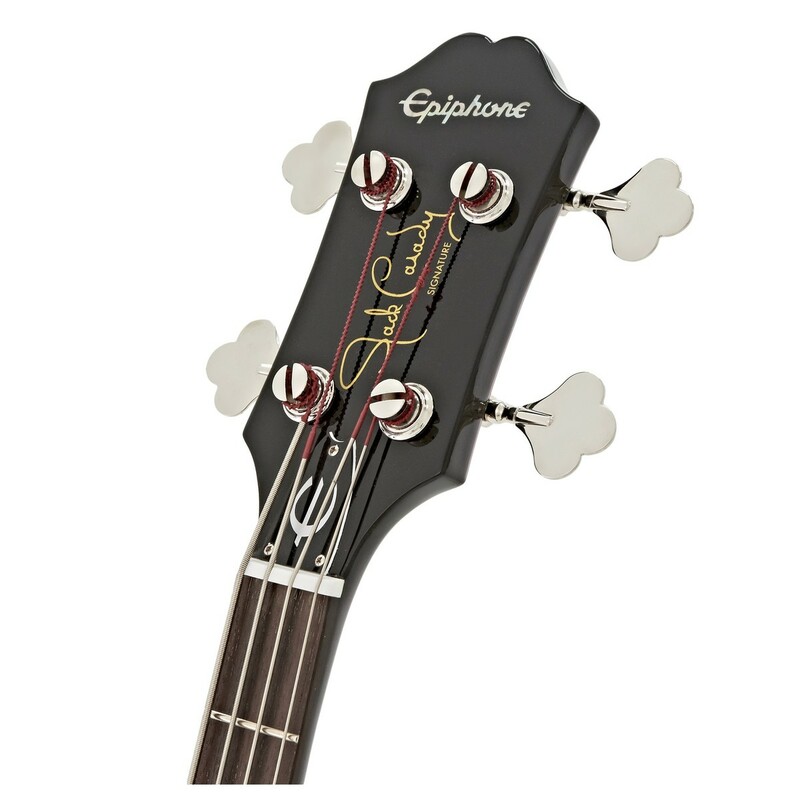 Enjoy superb, balanced electric tone and the response of an acoustic bass with the Jack Casady Signature Bass. Jack Casady is one of the world's most famous musicians, considered to be one of the foremost bass guitarists of the rock music era, best known as a member of Jefferson Airplane and Hot Tuna. "When I first started playing, I ran across a short scale semi-hollow bass," said Casady "Despite lacking some low end, I really enjoyed the semi-hollow nature of that bass and over the years tried to capture that characteristic." 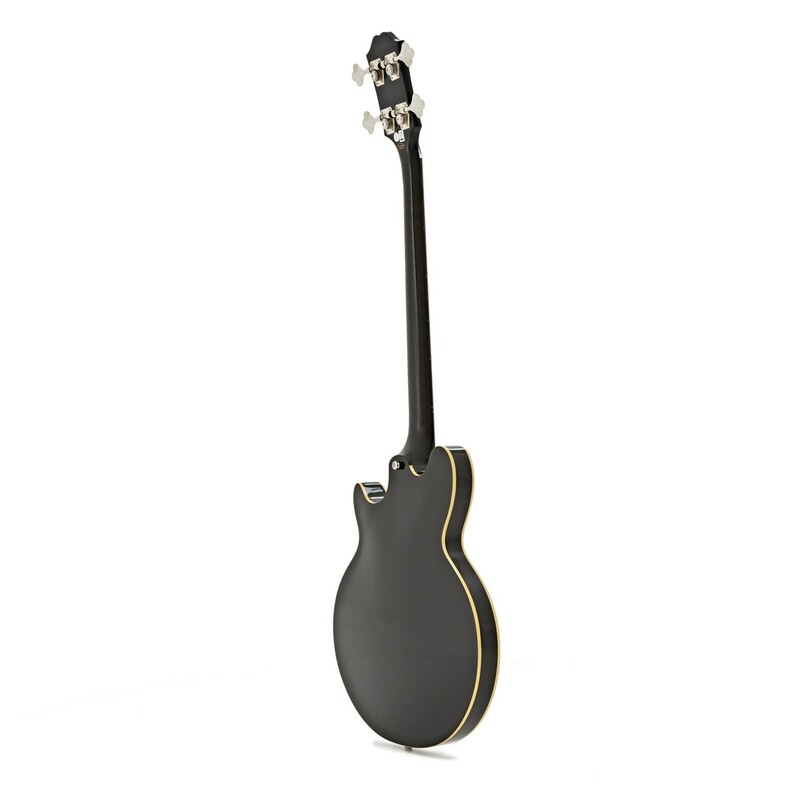 Casady did find a rare Les Paul bass that came close to the sound he was seeking. "In 1985, I was living in New York and happened to stop in a music store one day and saw a goldtop, full scale semi-hollow Les Paul bass," Casady recalled. "I loved the bass but found the pickup to be deficient. 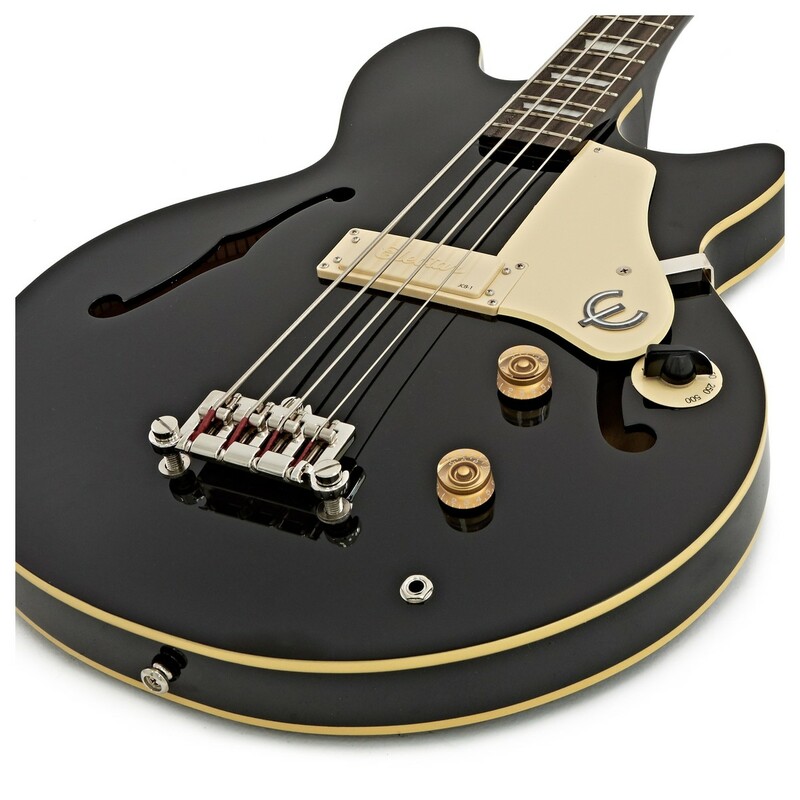 The Jack Casady Signature bass features a JCB-1 low impedance, low output pickup and employs a three-position transformer to shape the frequency response. Made to look exactly like what the Rock and Roll Hall of Famer uses on stage, this signature bass guitar features nickel hardware, classic style 19:1 ratio tuners, and a 3-point adjustable bridge.